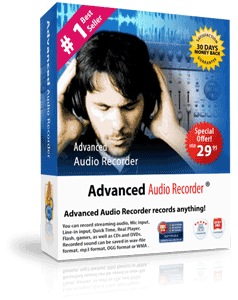 Advanced Audio Recorder is 100% free and completely safe to install on your system and includes an uninstaller. If you don't need Advanced Audio Recorder any more, you can remove it from your system within seconds. Advanced Audio Recorder is a copyrighted and licensed software, so please read our License Agreement carefully during the installation. Your use of Advanced Audio Recorder indicates your acceptance of the terms and conditions set forth in that Agreement. Copyright Announcement: recmedia is a well-known and professional developer dedicating to digital audio software developing.